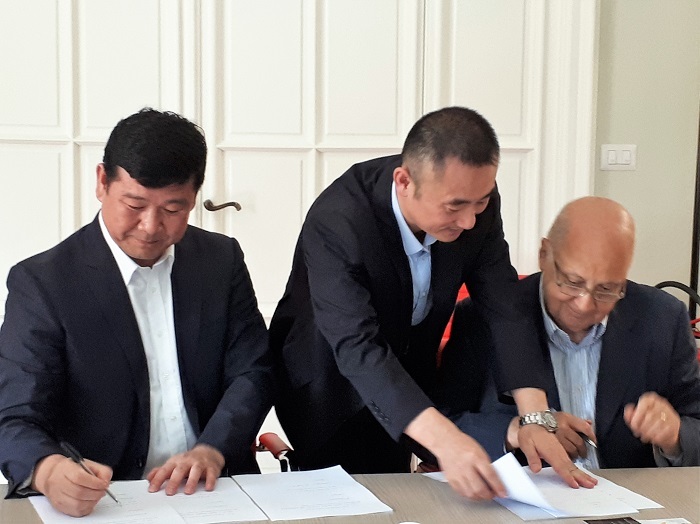 signed a Cooperation Agreement in Turin, Italy on July 20th, 2018. The two parties have decided to carry out a strategic cooperation within the activities and goals of MobiGoIn-Action, fostering mutual benefit and synergies through friendly consultations and consensus. MobiGoIn-Action will support European Smart Mobility SMEs interested in approaching the Chinese market and the Tianjin Beichen Economic and technological Development Zone will provide advice to the MobiGoIn-Action Consortium about relevant policies in Beichen District of Tianjin and will contribute as a communication platform for supporting the investment and development of the enterprises that are interested in approaching the Chinese market. The Economic and technological Development Zone is located in Beichen, one of the four districts of Tianjin that are contiguous to the downtown area of this city, which makes it a gateway to Beijing (Beichen is 110km away from the center of Beijing). More than 16 National Research Institutes can be found within the Beichen Development Zone, together with many companies working mainly on information technology and big data, intelligent manufacturing, biomedicine, and e-commerce logistics industries. There are 26 companies on the park that are within the World Top 500 Enterprises, some of them include: Siemens, LG e Toyota. In order to maintain a sound economic and social development situation in the Beichen district of Tianjin, the Tianjin Beichen Economic and technological Development Zone encourages the cultivation of high-end equipment manufacturing, biological medicine, information technology, new energy and new materials and other industries, and actively promotes funds, technologies and talents from European related industries and enterprises.